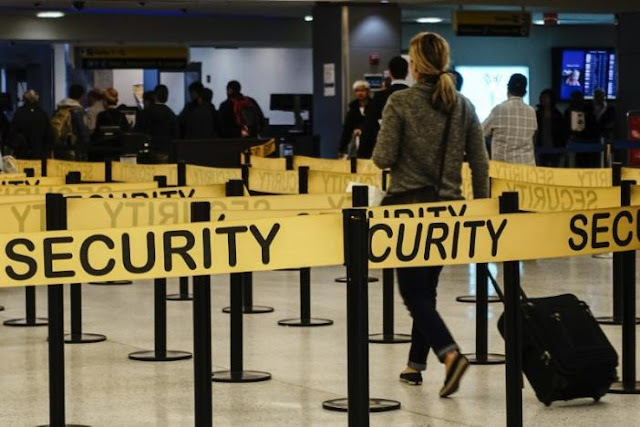 After banning travelers from seven Muslim-majority countries, the government of the United States is now banning electronic devices from cabin baggage on flights from eight Middle Eastern and North African Countries. 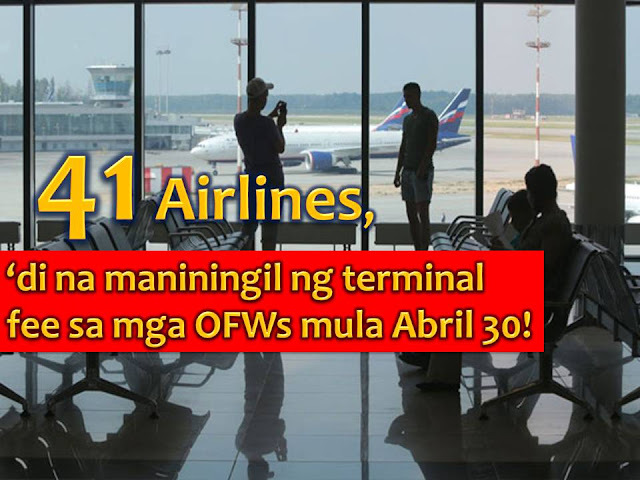 A source told the BBC news that the new measure would affect nine airlines operating in 10 airports. The new ban is imposed as a response to an unspecified terrorist threat to the US according to the US officials. What are the banned electronic devices? Mobile phones and smartphone are still allowed in carry-on luggage. The ban originates on an incident happened last February when a Dubai-based carrier Diallo airplane was damage due to explosion from a laptop bomb, shortly after take-off from Mogadishu, Somalia. According to the investigator that if the device had gone off at cruising altitude, the plane would almost certainly have been destroyed. The incident was claimed by Islamic militant group al-Shabab, which is linked to al-Qaeda. 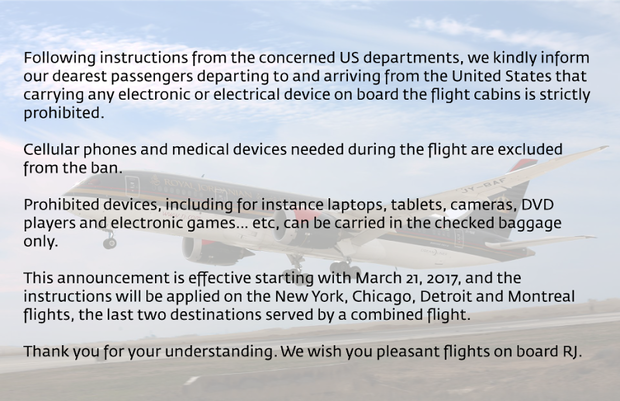 In response, Royal Jordanian Airlines said starting Tuesday it will only allow phones and medical devices on its flights. All other electronics would be "strictly prohibited". 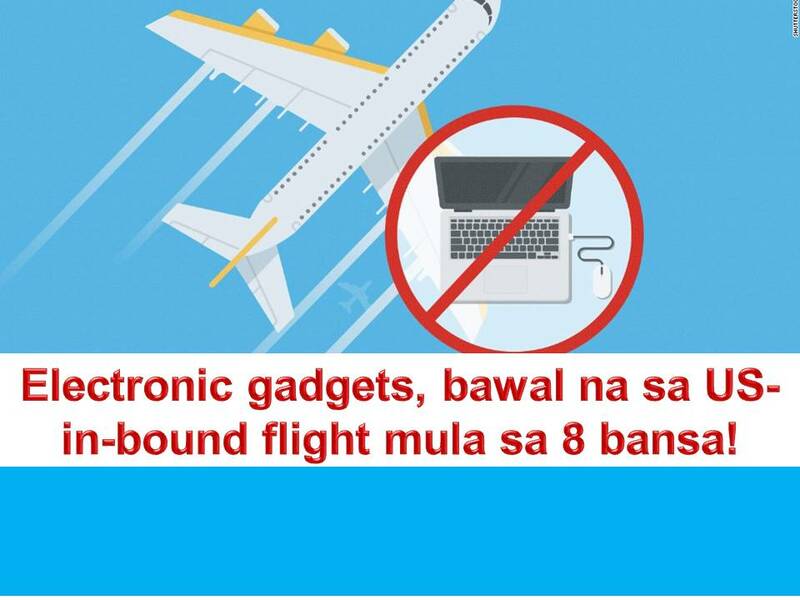 The airline said that laptops, tablets, DVD players and electronic games must be checked with baggage. The new rule will affect Royal Jordanian flights to New York, Chicago, Detroit, and Montreal. Last January, US President Donald Trump imposed a controversial 90-day ban on travelers from Iran, Iraq, Libya, Somalia, Sudan, Syria, and Yemen. It was lifted by the court but Trump issued a new ban again that removed Iraq from the list of the countries affected by the travel ban. 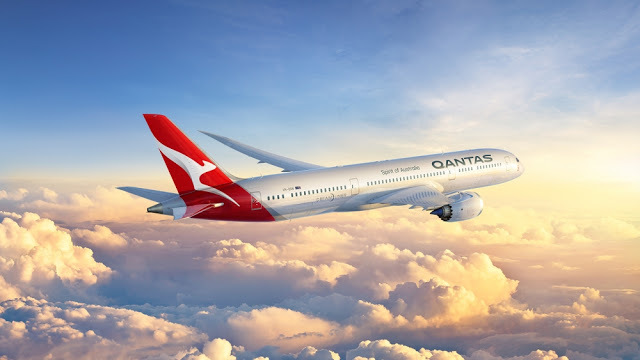 Following the US move is the British government that announced a cabin baggage ban on laptops on direct passenger flights to the UK from Turkey, Lebanon, Jordan, Egypt, Tunisia and Saudi Arabia. 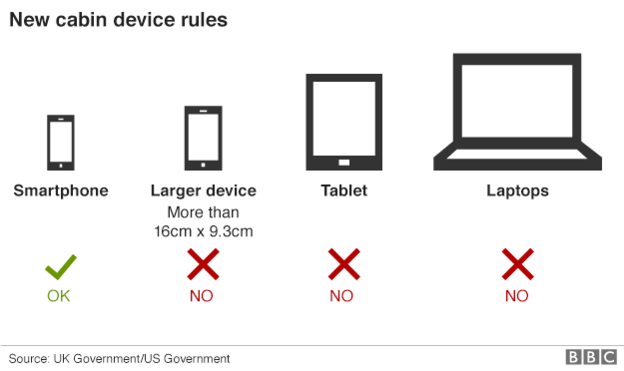 Included in the ban are tables and DVD players and it applies to any device larger than 16cm long, 9.3cm wide or 1.5cm deep. It includes smartphones, but most fall inside these limits. Passport colors come in shades of red, blue, green and black. 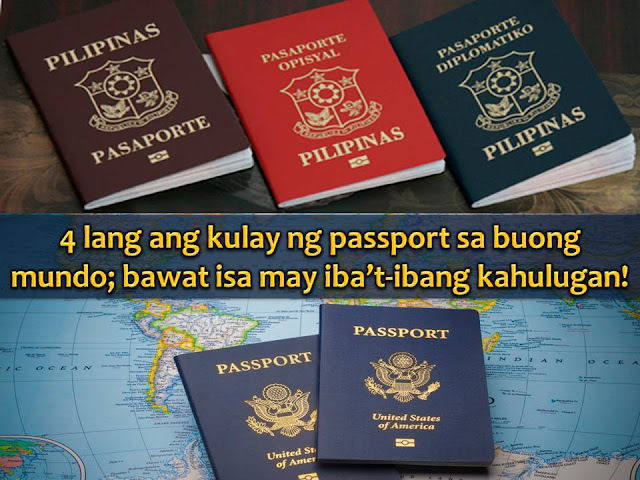 Many of us own a Philippine passport. But have you asked yourself why are you holding a dark maroon (shades of red) color passport? Passport Index Vice President of Marketing Hrant Boghossian said, most passports in the world are based on blue and red primary colors, though there's an enormous degree of variation in hues.